Our teeth go through constant cycles of demineralization and remineralization, caused by acidity and pH changes in the mouth. 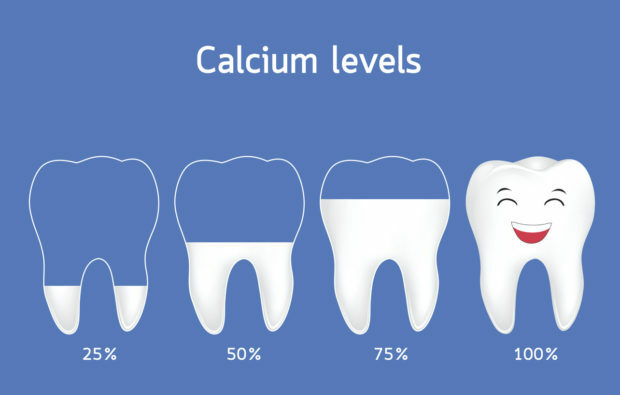 In the process of demineralization, calcium ions leave a tooth’s enamel, resulting in weakened or softened teeth. Saliva then assists in rebuilding enamel by saturating it with (calcium) mineral ions, during remineralization. Saliva is responsible for moderating and regulating frequent pH changes in the mouth, working hard to replenish lost calcium ions in acidic environments to maintain enamel health. The process of remineralization is a much slower and more complicated process than demineralization. The speed and frequency of both remineralization and demineralization vary and depend on factors like how many times a day a person eats, what types of foods he/she eats, and the acidity of their diet. It’s essential that the remineralization processes occur more frequently than demineralization because if this balance is disrupted, enamel loss and tooth decay have the green light to develop and advance. Therefore, it is critical to understand what protective measures to take to deter demineralization, thus preventing enamel damage. The goal is to safeguard existing enamel and aid saliva in its ability to re-strengthen weakened areas. Saliva helps in the process of remineralization, where lost calcium ions are replenished and tooth enamel is restored. It’s important to avoid sugary carbonated beverages that can create an overly acidic environment in the mouth that can negatively impact enamel health. 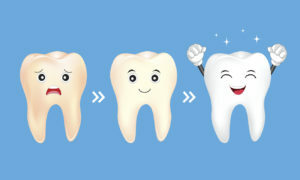 What can you do to prevent mineral loss and development of tooth decay? Remineralizing agents – Our dental care professionals can provide patients with calcium phosphate paste, either MI (minimal intervention) paste with fluoride or MI paste without fluoride). Using these remineralizing agents can help stall the degradation process. Practicing Good Oral Hygiene – Patients should brush their teeth before meals rather than after meals to aid in enamel health and protection in case they consume acidic foods or drinks. Patients are advised to rinse their mouths after meals or snacks with clear water to help neutralize oral pH. Patients should try to limit frequent snacking and eliminate acidic drinks from their diet (like sugary carbonated drinks), as these beverages are the biggest culprit of enamel decay. At PreserveYourTeeth™ Dentistry we aid patients in protecting their tooth enamel with carefully designed custom home care regimens paired with targeted in-office treatments. The enamel strengthening is incremental and will have cumulative effects over time. Strengthening tooth structure entail an increase in enamel density and resistance to decay, but doesn’t repair lost volume in the patient’s tooth structure (which is unfortunately impossible). These treatments are suitable for at-risk patients of all ages.